MC: There are already plenty of comments, the members are reading them too and seeing the hearts. BAP had a line live back in January too. Let's look back on that, how was it? MC: To commemorate a certain thing, we're gathered here today on line live. Do you know what? MC: To express the various charms of MASSIVE, we've got many corners to do so, more like, there's so many corners // the staff said it'll be tough to do them all by 10pm. MC: The top 3 heart-pressers from the top 10 list will win a signed polaroid! (Talking about the release events) How's the flying kiss event? For the people who may not know HC: Let's have Daehyun explain since he's the best at it DH: It's our 2nd time doing it, // it's our way to show love for fans. MC: The hearts are going up a lot, let's look at the ranking. 1st is Kei-san, 2nd is Chiharu-san and 3rd is /// Continue participating lots and lots! MC: So red team's theme is "whatthe~". They need to make a video and decorate it in Snow app. MC: They'll need to decorate it afterwards in SNOW as well. MC: Now let's go onto the next corner, "which is real~!". You'll have to pick out which is the real one. MC: So we'll start from the left, and have them eat the takoyaki. HC: Did you taste it well? MC: Let him eat it! MC: Remember this taste well ok? MC: // So one is frozen takoyaki and one from 'Kukuru'. HC: Is the first one or the second one nicer? MC: You ate 2 though? YJ: Stay still would you! MC: so one was from 551hourai, and the other was just from the convenience store MC: Which one? DH: The second YG: The second one too HC: Me too MC: Everyone guessed correctly! MC: Next corner, "what's in the box?!" // Let's go straight on. Choose a representative each from the teams. DH: I'm good at these MC: At the same time, they will put their hands in. If you know what it is then put your hands up. DH: Broccoli! MC: Well done. Let's move onto the next one// Let's go, what's in the box! ZL: The feels a bit weird. Can we only answer once? MC: Yes YG: Yongguk! MC: Zelo still has to answer... // The item came out! This is the unexpected draw! MC:The numbers have come in for the video game from before. And the winner is.... red team! MC: The cake is from --- (famous shop) MC: The punishment game, is to profess your love for BABYz in baby talk! YJ: Are there lines set already? I will be able to do my best if I got a bite of the cake DH: It's for the fans. You can do it without it. // Can I look forward to it? JU: "I lub you babyz ZL: "Babyz only need to look at mee YJ: "You like me rite? MC: Now 3 of the people of the 10 we read out will receive a signed polaroid! Linelive will contact you about it later on. // Massive is out on sale now, please grab a copy if you haven't already yet! There's a release event tomorrow too. MC: There's 1 more minute left. 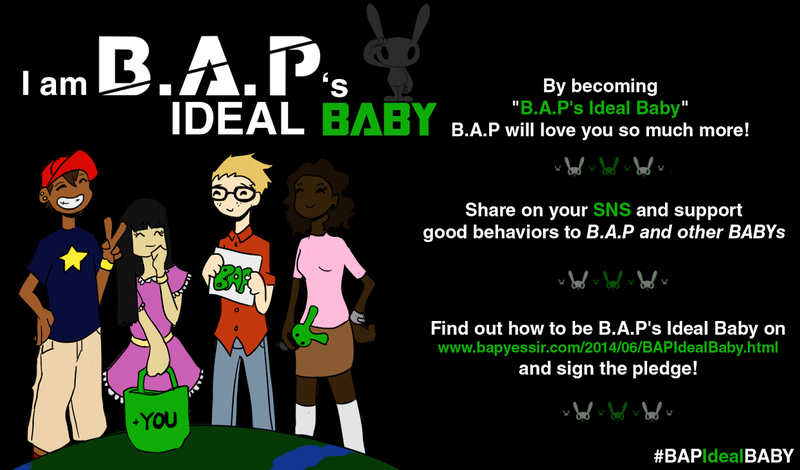 Please say your messages to babyz. DH: I love you YJ: Thank you for everything,// we're waiting for you at the next event too, thank ya!